Your Summit registration includes complimentary self-parking. Visit Google Maps for driving directions. Mobility 21 is proud to partner with Metrolink and Anaheim Resort Transportation (ART) again this year to offer complimentary Metrolink and ART roundtrip service to the Summit! Simply use your Summit registration ticket (either electronic or printed) as your Metrolink and ART fare on Friday. You may also use your Summit registration for Metrolink on Thursday or Saturday if you are spending the night. 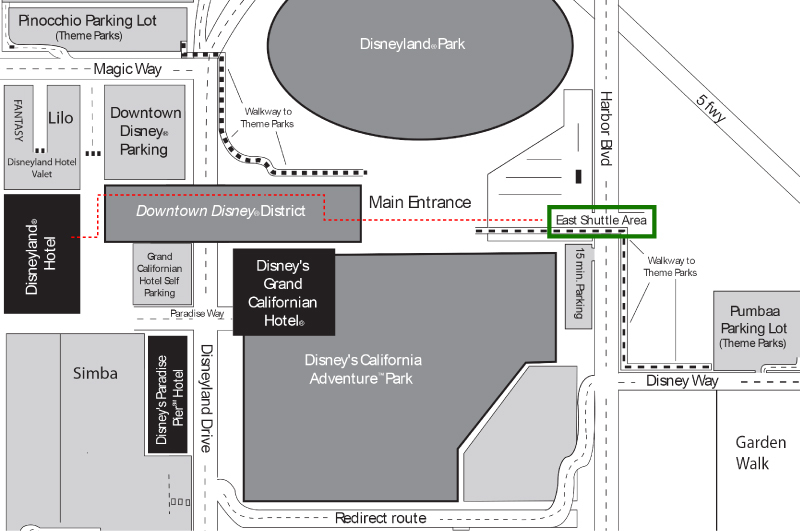 Upon arrival at the Anaheim Metrolink Station (ARTIC) on Friday, Sept. 29, take the special ART shuttle from bay 12 or 13 to the Disneyland Hotel. Look for Mobility 21 signage in the windows. 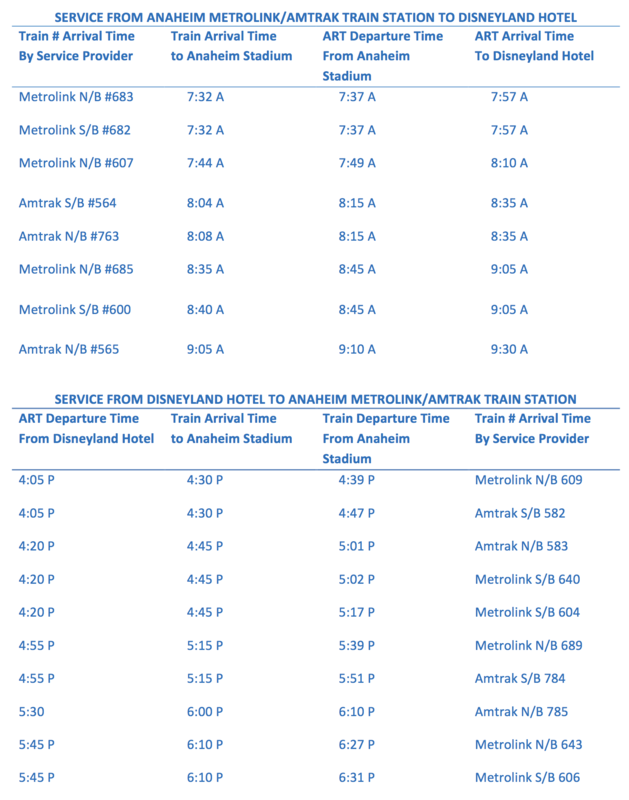 *** For Metrolink and Amtrak arrivals and departures not listed on the schedule, please use the ARTIC Sports Complex line bus (14 or 15) to or from the East Shuttle Area, which is accessible by walking through Downtown Disney to the hotel.